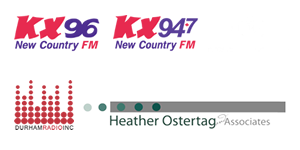 Congratulations on being a Kick It With Kissel winner, which has you opening for Brett Kissel on February 24th in Sudbury. How excited are you for that? I’m so excited! I was surprised when I opened the email saying that I had been selected. There were so many other great auditions and I wish I could bring all the other contestants with me to perform. There is so much great talent in Ontario and all across Canada, and I’m so grateful. I’ll be doing a twenty-minute set, performing some of my originals and a couple of covers. I hope to release my new single “Driving in the Dark”, which I co-wrote with Phil Barton and Jason Matthews in April this year, to Canadian country radio. What have you learned from taking part in talent competitions? What advice can you give others to be successful at them? I would say I’ve learned to never take the results personally. I love it when there is feedback, so I can learn from it, but often there is not. So, one thing that I do is try my best to submit a good audition tape, but then I forget about it. Once that part is done, there is no sense worrying about it, and if it happens, then it was meant to be. I never set my heart on winning, so that if I don’t win, it is not so far to fall. My advice is to never give up – keep trying if you love it. Keep taking lessons to improve and learn from the best teachers that you can find. Along with performing your original songs at your shows, what are your favourite songs to cover? Right now, I really love covering “Feel my Love” by Bob Dylan. It’s such a classic, and playing it never seems to get old. Which artists have had an influence on your style? I grew up listening to Shania Twain, Kacey Musgraves, Tim McGraw, and Faith Hill. Most country songs tell a story, but these artists’ stories I seemed to love the most. I’ve always tried to figure out – and still do today – what makes their songs so popular. I love how Kacey Musgraves isn’t afraid to be blunt in her writing and go places other writers may be hesitant to go. She has a simple yet unique style, with her lyrics being incredibly honest but down to earth. I do listen to a lot of pop music as well. Maren Morris said something recently that I loved: “There really are no barriers anymore between country and pop. Good music is just good music.” I agree with this and I don’t see anything wrong with country artists working with pop artists or singing pop songs. There shouldn’t be any boundaries. One style of country I’m not a fan of is “Bro Country” and the sexism that can come with it. I think women need to be represented more respectfully in country songs and in the country music industry. 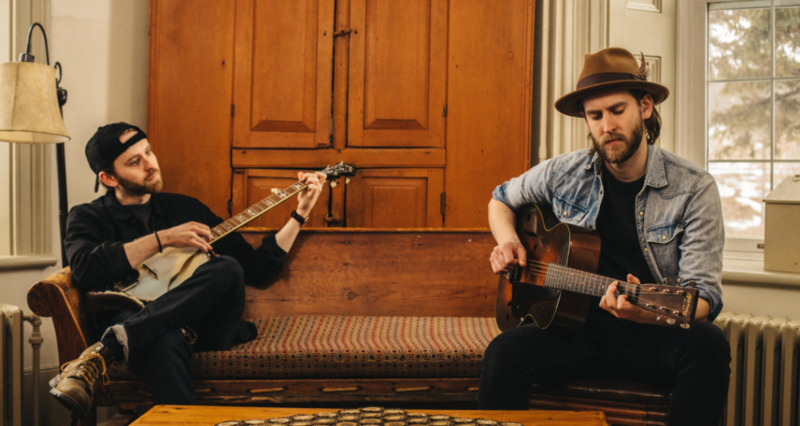 What have you learned about songwriting from the time you started until now? Songwriting, for me, is a form of music therapy. I didn’t realize it when I first started writing; I just knew that if I had an experience or felt very strongly about something, it felt really good to write about it. Now that I’m taking a music therapy course as part of the Singer Songwriter stream at Carleton University, I understand now how writing can be such an emotional release. Learning how to create your own style through rhythm, unique lyrics, melodic phrasing and other elements is also very important. I love to write on my own, but I went to Nashville three times in 2017 for co-writing and I learned to love that experience as well. When you hit it off with a writer, creating a meaningful story through lyrics and melody is a very gratifying, unique experience. I was fortunate to write with gifted writers such as Caeland Garner (Johnny Reid), Phil Barton (River Town Saints), Jason Matthews (Luke Bryan), Daniel Ross and Abram Dean (Warner Chappell), and Tenille Arts. I was quite nervous about it initially, but that southern charm in Nashville made me feel comfortable. Who would be your ultimate duet partner and why? My ultimate duet partners would have to be Tim McGraw and Faith Hill. Not only are their voices incredible, but I think their love is so real and it shows when they perform together. My grandma loves them. She has every Tim and Faith CD and I grew up watching their music videos on CMT at her house. One of the first songs I ever performed was “Fireflies” by Faith. You devote time to many charitable events and write songs with powerful messages. How important is it to you to give back to your community like that? One of the things that I love about music is that you can tell a story and create awareness of important issues. For example, I met this amazing 70-year-old war veteran who was walking 300 miles through the trails from Kingston to Ottawa to raise money to train service dogs for veterans. I had to write a song for Major Nick Nicholas, as he inspired me so much, and he invited me to perform it at the launch of his walk and at the Aviation Museum in Ottawa. Presently, I am working on a song and music video for a special little girl named Everley, who lives down my road. Everley suffers from CCHS and cannot breathe on her own when she falls asleep and must ventilated. She and her family are amazing and this rare disease (only 1200 cases worldwide) needs a cure. I hope to release the song and video at a charity fundraiser this June in Perth, Ontario, through the Hinton Group, to help create awareness and support. 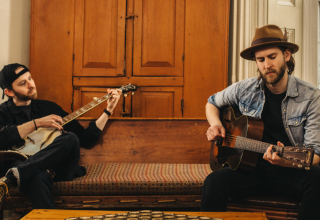 Tell us about some of the places you’ve had a chance to perform at in Nashville. A few years ago, when we drove down to Nashville, I was able to perform a song at the open mic at the Bluebird Café, which was amazing. Then I was in a competition at the Wild Wing and on a cable TV show called Spotlight on Nashville. Most recently, I was invited to join Caeland Garner onstage at the Blue Bar in Nashville to sing the new song we had just written. 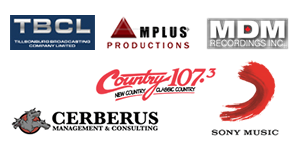 How important do you feel the CMAOntario is for country artists in this province? Words can’t express how blessed we are to have this organization in Ontario. They have been such a support for me from the first time, a few years ago, when I asked advice from the CMAOntario President regarding finding someone to help me with consultation for the Backroads Music video competition, and the CMAOntario showcases, which I have participated in for the last two years. They work together with the CCMAs, all with the goal of supporting country music artists. I learn so much every year at the conferences about the music industry, and I’ve met new friends and kind people who always want to help. I wouldn’t be where I am today without them. What goal or two do you have for your music career in 2018? My goal is to release a single to Canadian country radio within the next few months, followed by a music video. Then, my EP will hopefully be released in August. My second goal is to finish my music degree by December, so I can spend more time writing in Nashville. It’s going to be a busy year. 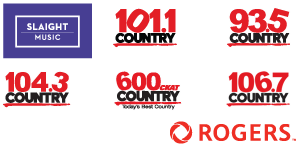 Dave Woods is a monthly columnist for the CMAOntario and has been hosting the popular online radio show “In The Country with Dave Woods” since 2009. To hear episodes, please visit www.inthecountryinterviews.com, www.soundcloud.com/dave-woods-3 and iTunes.